C200H-BAT09 for Omron and other controllers. Replaces: Battery C200H-BAT09 for Omron C20H, C28H, C40H, C60H, C200, C200H, C200HF, C200HK, C200HS, FIT10-CPU01 series programmable logic controllers and industrial computers. This C200H-BAT09 Lithium one-cell lithium battery designed for Omron C20H, C28H, C40H, C60H, C200, C200H, C200HF, C200HK, C200HS, FIT10-CPU01 programmable logic controllers and industrial computers . 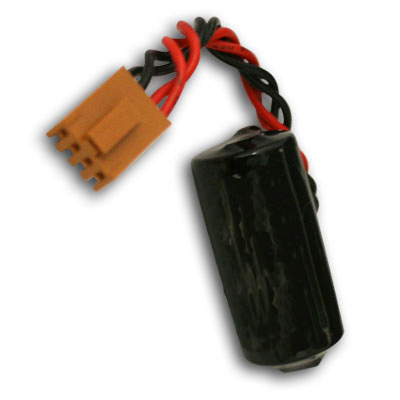 It is a DIRECT replacement for the C200H-BAT09, C200HBAT09, C500BAT09 and B9670BSM battery. series programmable logic controllers and industrial computers. This Omron C200H-BAT09 PLC battery comes with a one year manufacturer's warranty.